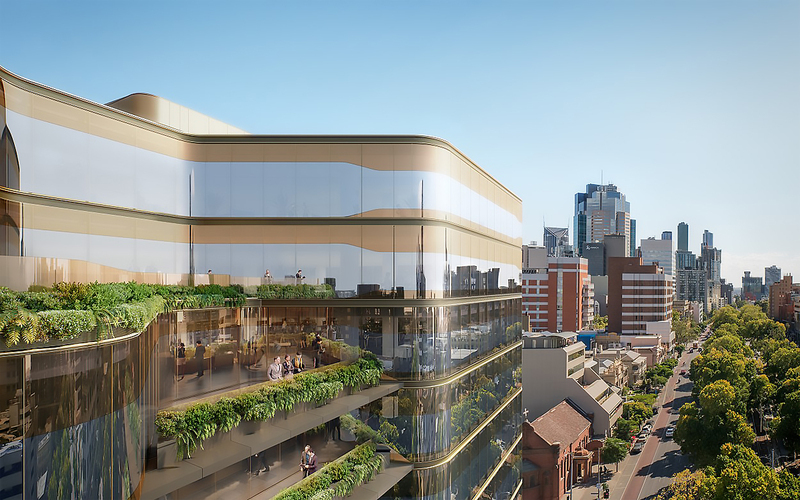 Having secured a permit for a commercial development at 200 Victoria Parade, East Melbourne, joint venture partners Time & Place and Golden Age Group have launched the $280 million project as Victoria Place. Designed by FJMT, Victoria Place comprises approximately 26,000 sqm of net lettable area (NLA) and includes world-class end-of-trip facilities, a sky terrace, expansive city views and a collection of retail, café and associated amenities. The development team engaged FJMT for the project based on its expertise in delivering high-quality commercial developments such as 200 George Street and Liberty Place in Sydney. Time & Place Property was founded by experienced developer, Tim Price in early 2015 and has grown to now manage more than $3.5 billion worth of projects across the eastern seaboard. With Victoria Place, Time & Place celebrates its 8th venture in property development, with more than 18 projects already under management. Golden Age Group’s diverse development portfolio of residential and commercial has an estimated value of $4.2 billion with another $1.5 billion worth of projects in the pipeline. The developer is responsible for Melbourne CBD’s tallest residential building - Victoria One, the world’s fourth slimmest building - the under construction Collins House, and 85 Spring Street - currently at sales. Upon completion, Victoria Place will provide a focus on wellness, targeting a 5-star Green Star office design, a 4.5-star NABERS (National Australian Built Environment Rating System) and 4.5-star WELL™ rating by the International WELL Building Institute; including fitness and lifestyle amenities such as 160 bicycle spaces, 22 showers, 308 lockers and a bike repair station. According to Golden Age Group, the CBD’s historic low commercial vacancy rates and tightening of lending to residential buyers had created a favourable environment for the developer to focus on expanding its commercial portfolio. 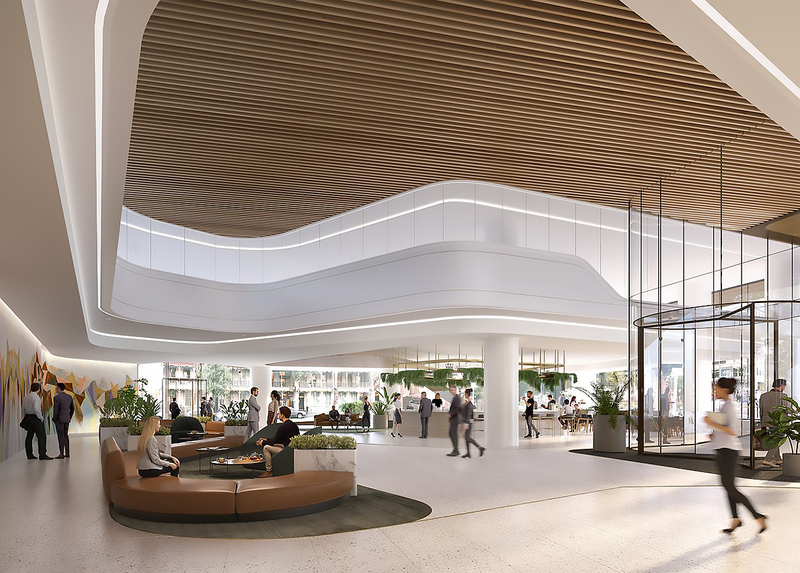 Time & Place expects Victoria Place to "(raise) the bar for workplace design in Melbourne", via leading sustainability and productivity amenities. The building offers natural light on three sides across generous floor plates between 2,100sqm and 2,750sqm. The lift core and floor plate are designed to allow for customisation, modern activity-based workplace designs and inter-floor vertical communities. The site is positioned at the entry post from East Melbourne to the CBD, with the picturesque Fitzroy Gardens and the vibrant northern suburbs at its doorstep. It also boasts prime connections to public transport with a tram stop at the front door and Parliament Train Station a short five-minute stroll away. The building will also be in the unique position to offer extensive car parking in a three-level basement accessed from Lansdowne street frontage. With the CBD on one side, the best of Fitzroy’s food on the other and direct access to the city’s best parks and gardens and the MCG sporting precinct, this is arguably the best office location in the city. We are proud to be co-developing alongside long-time collaborators Time & Place on this benchmark project for Melbourne workplace design. As a nimble developer, we can quickly change our approach based on the strongest asset class at the time. As the conditions become favourable in the commercial market, we have moved quickly to solidify our position. The tightening office availability in the CBD speaks for itself. Further, the number of enquiries we have received has almost tripled for East Melbourne when comparing June YTD 2018 data to June YTD 2017; and we’re seeing almost 10 times more interest in terms of the amount of space asked for, due to larger requirements in the market and a desire to be situated on the literal CBD fringe.